On Monday June 15, 2015, the Canadian Library Association (CLA), along with several other partners, launched the campaign “Fair ebook Prices” in Ontario. A press release announcing the initiative was delivered nationally at 7 am Eastern time. The website www.fairpricingforlibraries.org, which is live now, was also formally introduced. The Nunavut Library Association was invited by CLA to partner in this campaign. NLA members agreed that e-book pricing is a matter of significant concern, and sent a letter to the Minister of Culture and Heritage, the Hon. George Kuksuk on June 29, 2015. Minister Kuksuk responded on July 16, indicating that at the recent Federal-Provincial-Territorial meeting of Ministers of Culture and Heritage, the provinces and territories agreed to set up a roundtable to look at e-publications in order to arrive at a fair balance for libraries, publishers and the public good. Minister Kuksuk has also directed his staff to maintain contact with NLA as the roundtable discussions move forward. 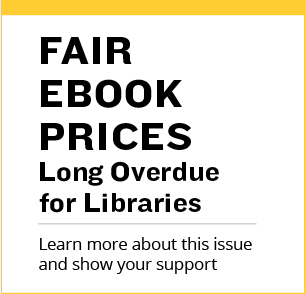 Individuals wishing to participate in the social media campaign for fair e-book prices can find additional information and tools on the CLA website on the ebook Task Force page as well as the Fair ebook Prices site. Some suggested social media taglines and approaches are also suggested in the Ebook Advocacy Social Media Editorial Calendar issued by the campaign.